Hi Dounia, I would like to speak with you briefly to see if you're a good fit to coach me. Please contact me at your earliest convenience. Hi Arvind , I would like to speak with you briefly to see if you're a good fit to coach me. Please contact me at your earliest convenience. Hi Dr Johnsey , I would like to speak with you briefly to see if you're a good fit to coach me. Please contact me at your earliest convenience. Hi Hajnalka, I would like to speak with you briefly to see if you're a good fit to coach me. Please contact me at your earliest convenience. Hi Buddy, I would like to speak with you briefly to see if you're a good fit to coach me. Please contact me at your earliest convenience. Hi Alina Ioana, I would like to speak with you briefly to see if you're a good fit to coach me. Please contact me at your earliest convenience. Swapnil Dubey Bachelor in Engg.  Hi Swapnil, I would like to speak with you briefly to see if you're a good fit to coach me. Please contact me at your earliest convenience. Hi Sochi , I would like to speak with you briefly to see if you're a good fit to coach me. Please contact me at your earliest convenience. Hi Esra, I would like to speak with you briefly to see if you're a good fit to coach me. Please contact me at your earliest convenience.